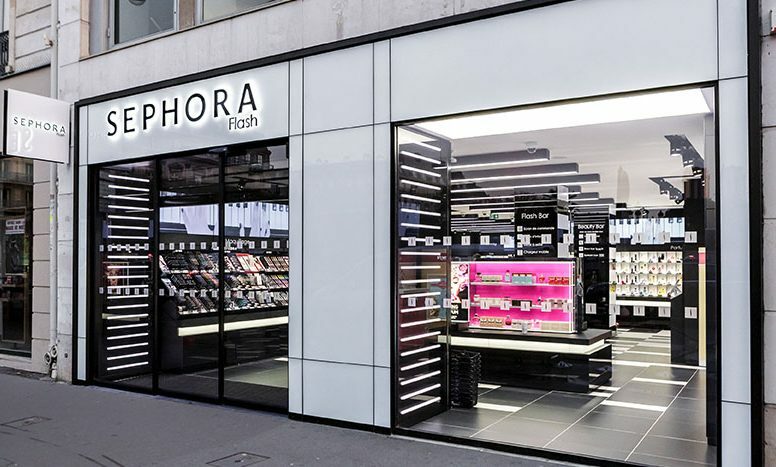 Sephora has been the leader when it comes to digital innovations within stores and their online presence and this is proven in their recent concept store. 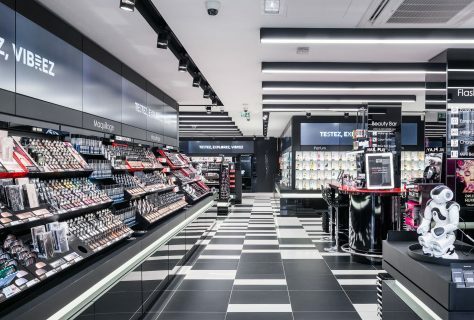 The Sephora Flash store in Paris is one of the first boutique stores to be rolled out around the world and is a great concept that blends beauty and technology together. The new store is considerably smaller than other Sephora stores so can only stock half the amount of products then in other larger stores. 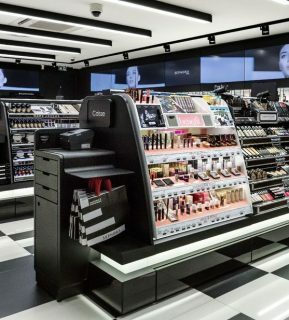 However the stores is balanced by a selection of their best-selling products and digital catalogues that allow shoppers to choose from more than 14,000 products from 150 brands. The aim of the store is to act as a portal to their website creating a seamless connected shopping experience. 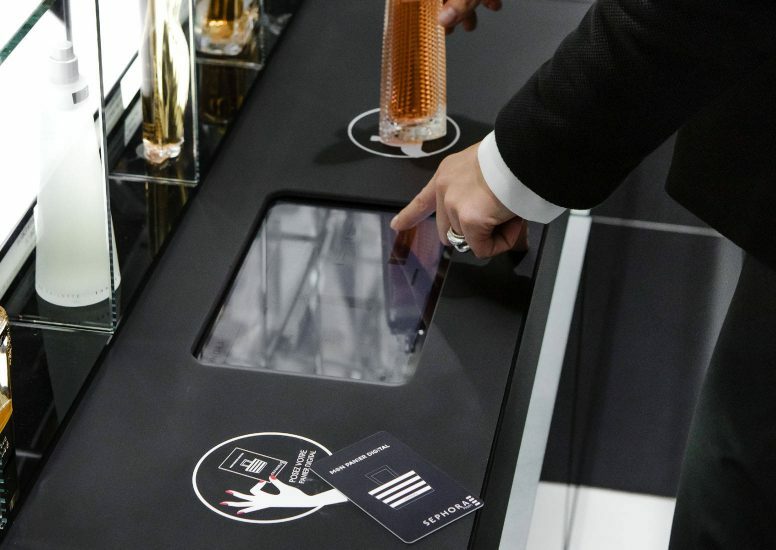 When entering the store you're greeted by a tiny robot which dispenses a card that acts as a virtual shopping basket which lets you access additional product info and also combines online purchases with anything else found in store. Even if the store does not have a desired product, customers can virtually add it from online via their digital tag. The store also acts as an educational tool for consumers, using connected screens customers place certain products on the screen and information and useful tips appear. Staff with tablets also move around the store for that more personalised educational experience. 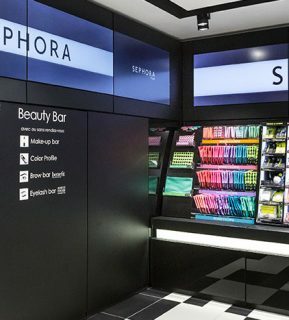 And if that wasn't enough there is even a 'Flash bar', similar to make-up bar or benefit brow bar, that includes a large selfie mirror, phone chargers and a mini Beautic, the smart sampler developed by the brand's Sephora Lab. Customers can then purchase their online and in-store products at the checkout and also choose whether they'd like their products delivered to home, office or pick up from store. The store has already proved itself as a huge success among Sephora fans. There are plans for this concept boutique to be used all over the world so keep your eyes peeled as one could pop up near you!